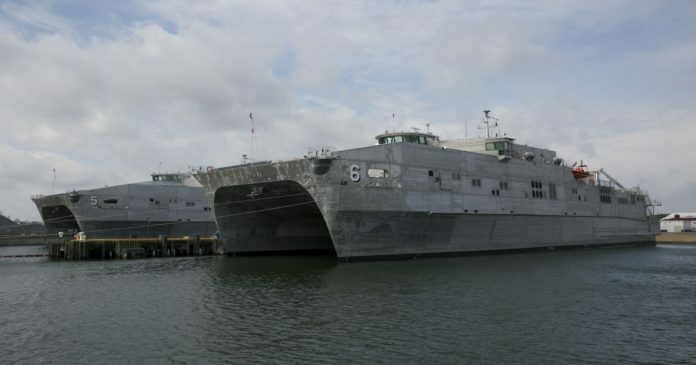 Austal has secured a new multimillion contract to build two additional Expeditionary Fast Transport Ships (EPF) for the US Navy. The A$369 million contract will see Austal commence construction of EPF 13 in late 2019, with EPF 14 to follow in the middle of 2020. Austal CEO, David Singleton said the contract follows the award for long-lead time materials on EPF 13 and EPF 14 that was announced late last year. “The extension of this program to 14 vessels is a result of the versatility of the EPF platform to perform an increasing range of roles for the US Navy combined with the confidence our customer has in it. We continue to believe that the EPF vessel, in various configurations, has a long future ahead of it,” Mr Singleton said. The 14-ship, EPF program has to date been worth over US$2 billion.